Beistle 66625 Includes 24 White Plastic Toppers. 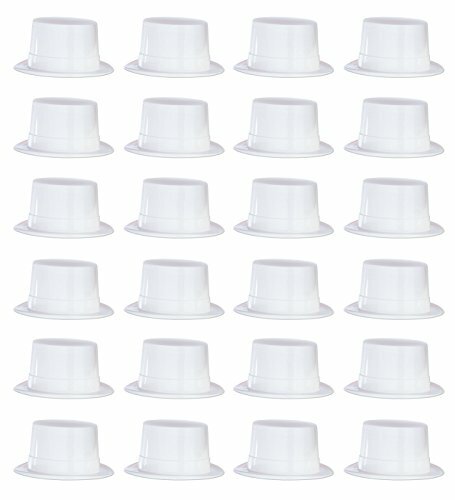 These white top hats are made of plastic. They are one size fits most. Wear these plastic toppers for many different occasions!.